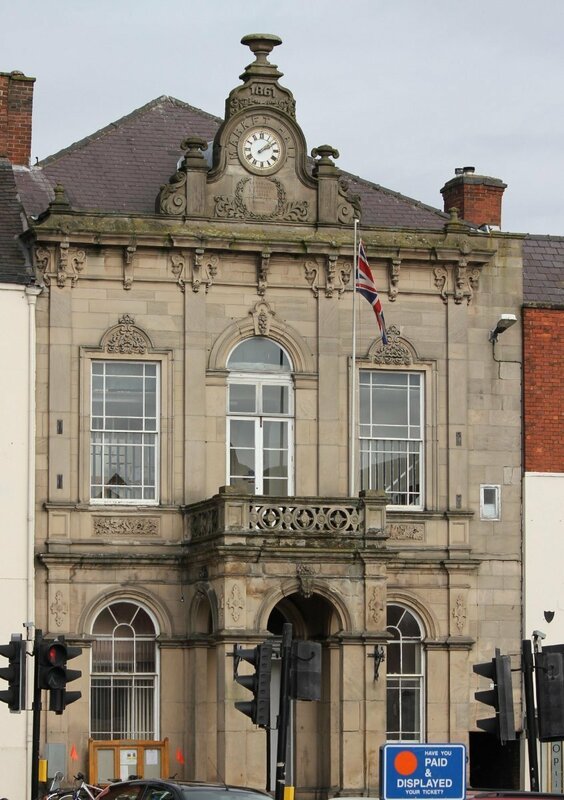 We are working with Guy Taylor Associates, who are managing the repairs and refurbishment of the Grade II listed Town Hall in Ashbourne, Derbyshire. The building sits in the Ashbourne Conservation Area and dates back to 1861. We have been appointed to undertake the works and a key aspect of the conservation programme includes moving the entrance doors in the interior porch back to their original position at the front of the building and replacing them with new glass doors (with a full glass over-panel). This will allow people to see inside the building as they enter, making it more inviting. Other works include fitting double glazing to the sash windows at the front; repointing masonry; roof repairs and repainting window frames and doorways. Unfortunately over time the Grade II listed building has been crumbling leaving it unsafe but now the 150-year-old public building will now be gradually nursed back to full health. The aim of the revamp is to allow people to see inside the building as they enter, making it more inviting. The sash windows at the front will also be replaced with double glazing to improve ventilation, sound insulation and make them more durable. We are looking forward in working closely with the council and the consultants to restore the building to its former glory with as little disruption as possible and bringing life back to this lovely venue for many years to come.